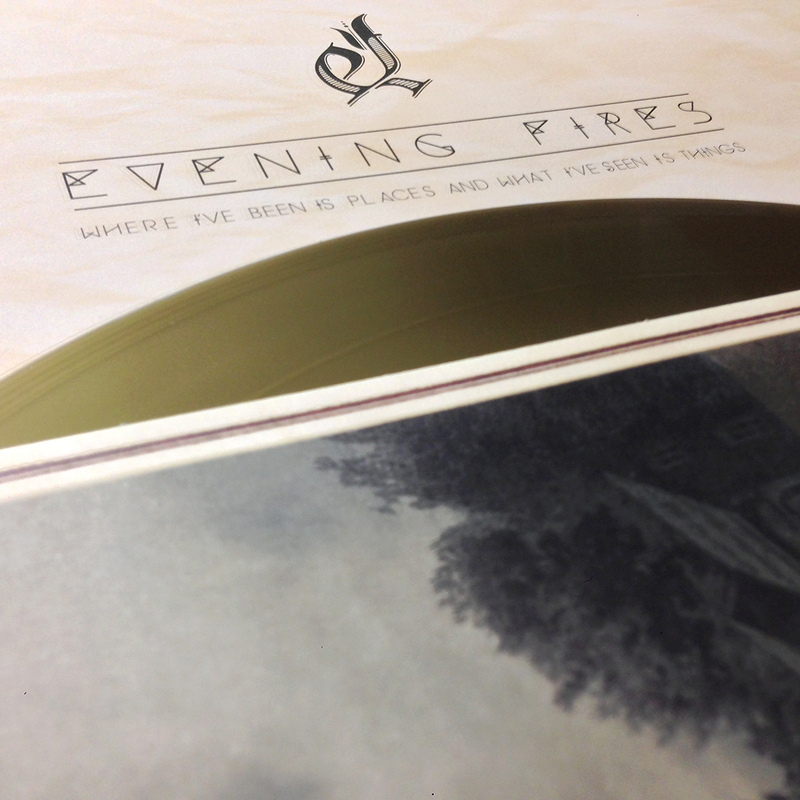 Evening Fires are described as “peddlers of old-time rural acid rock” that record their music in a “secret Appalachian den”, it seems peculiar when you read the words and yet makes perfect sense when you listen to the music. First up ‘Roll away the Stones’ burns slowly and builds over a wonderful guitar sound and beat that feels very much like it has taken its influences from Post Rock. Second track ‘We Cast Our Lots With the Waves’ is an ethereal and beautiful instrumental led by synths and sax, sound-tracking a movie that doesn’t exist. The following track ‘Staring Down the Gullet of the Great Beyond Part One changes things completely, an urgent driving piece of psychedelia relentlessly moving over five minutes of fantastic drum work and proving itself to be one of the albums many highlights. ‘Space Mountain’ is a weird trip, synth sounds and pulsating noises sound like an odd interlude while Tago Mago beats hide themselves in the background. ‘Too Many Ravens, Not Enough Corpses’ draws out eerie violin soundscapes over its magnificent 9 minutes and album closer ‘Staring Down the Gullet of the Great Beyond Part Two follows on from ‘Part One’ and draws itself and the album to a satisfying conclusion. Sometimes the best music reveals itself over time, growing and developing with every listen, ‘Where I’ve Been…’ does exactly that and the journey there is an intriguing and beguiling experience. There’s still more to discover for me with this album and its accompanying sister album ‘Incredible Adventures’, music as mysterious as the people that make it.